Swirling column of air that extends from the ground to the base of a cumulonimbus; it produces violent winds that can reach 500 km/h. Ring-shaped cloud mass, usually the first sign that a tornado is imminent. Cloud that extends from another cloud’s base and reaches the ground; extremely high winds whirl around it. Cloud of dust and debris swept up from the ground. 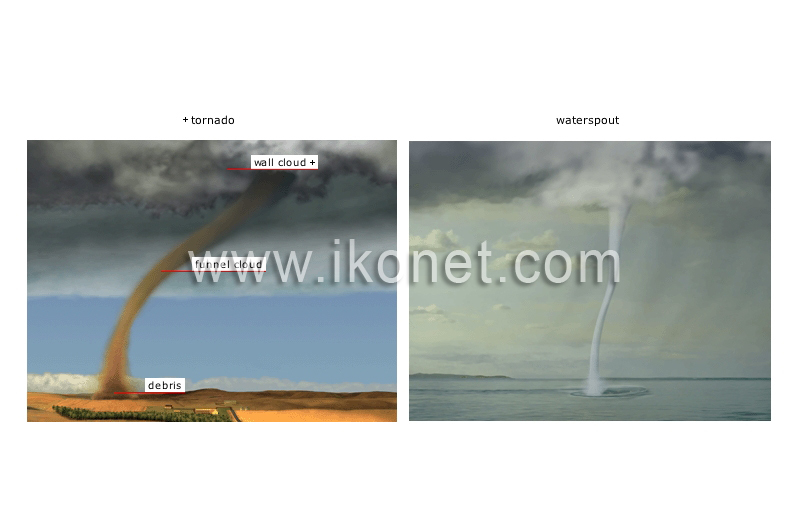 Tornado that occurs over the sea and is not as violent as a tornado on land.